One of the greatest joys in my life has been letting go. Whether it was my last days as a Navy Officer, moving to a new city or even the end of a romantic relationship, letting go has always been a life experience I cherish. For the last three months I’ve traveled around the United States with one medium-sized backpack. It contains everything I need and nothing I don’t. Some of the items I’ve spent years searching for, others just fell into my lap. Each item has been carefully chosen, and anything I don’t need I give away or sell. I have a few principles by which I operate so I’ll share those first, then I’ll go through my gear. Principle #1: Need it, borrow it, buy it. Most of us do the opposite. We buy something with the assumption that we will need it in the future. Then if we actually do need it we often realize we’ve bought the wrong kind, or that we could have borrowed it from a friend. When I moved to Bali people told me about a lot of the things I needed to buy before I got there. It turned out that not only did I not need all that stuff, but anything I actually needed I could buy in Bali, and cheaper too. 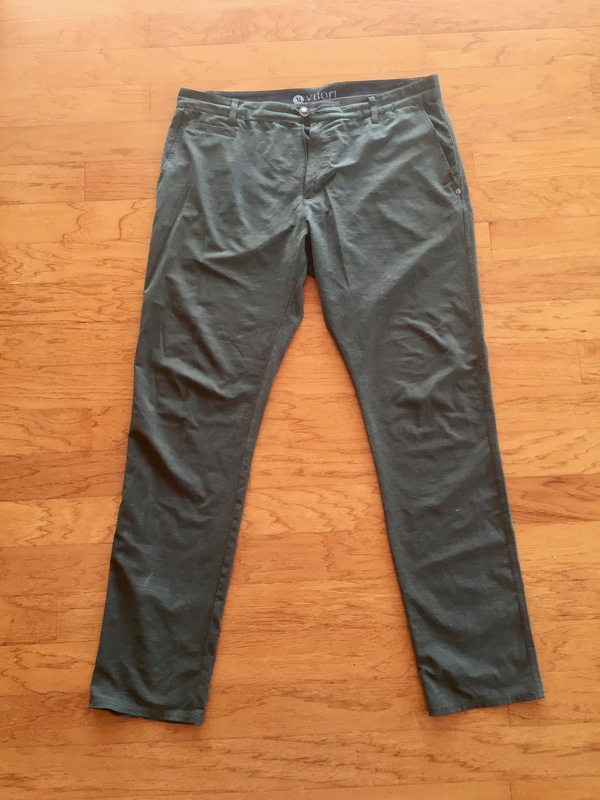 There is a good reason you can’t find certain items in certain cities, and often times it’s because you don’t actually need them. Then if you still need it, buy it. Principle #2: Keep it in the cloud. If I can carry something electronically, I will. If I can carry it electronically and it’s backed up in the cloud and not on a hard drive that I could possibly lose or that could break, even better. Principle #3: ABS — Always be swapping. I’m constantly upgrading my gear, and when I discover something better than what I have, I give away or sell the previous item. Notice I said “swap”, because once I have something better, there’s no reason to keep what I used to have. Plus, I love giving things away to my friends. Principle #4: Do I really need it? Alright, let’s get into the gear. All the links to Amazon are affiliate links so if you choose to buy something I’ve linked to, thank you for supporting the site. Also, there are some amazing minimalist travelers out there and I’m just getting started. I know there are things I could improve on and I welcome any comments or suggestions. Feel free to email me. First let’s start with the backpack. I bought the Deuter Cross City in 2014 at a travel store in Ubud, Bali and I absolutely love it. I’ve heard a lot of travelers rave about the Tom Bihn bags and funny enough I got one a few months ago and ended up returning it. Unfortunately Deuter doesn’t make this backpack anymore, so if you’re looking for it, you’ll have to find it on eBay. Most backpacks have small pockets that don’t get used well. I found that my electronics fit nicely into the front small pockets, especially when they are wrapped up and neat. Wrapping my electrical cables has made a world of difference. I use rubber bands, and it keeps everything neat and organized. One of my all-time favorite pieces of equipment is the Roost Laptop stand. I carry it everywhere and it really helps me not hunch over my laptop when I’m working. 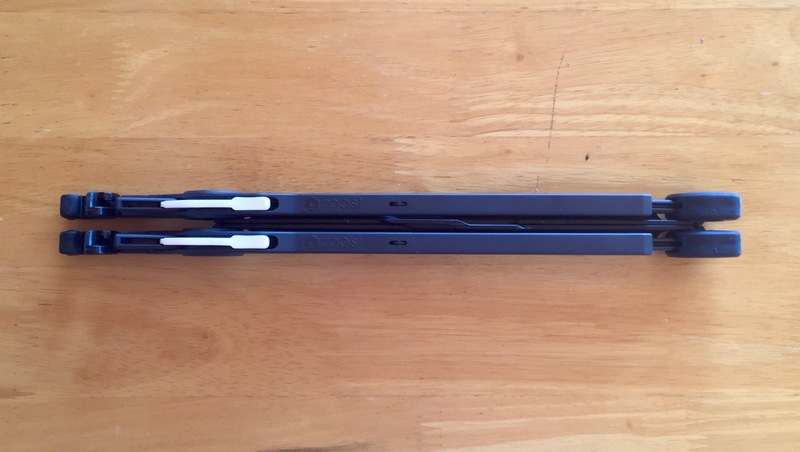 Even if you aren’t on the go, this laptop stand is amazing, and fits almost any laptop size. I can’t recommend it highly enough — I’ve literally told over a hundred people about this thing (in person). 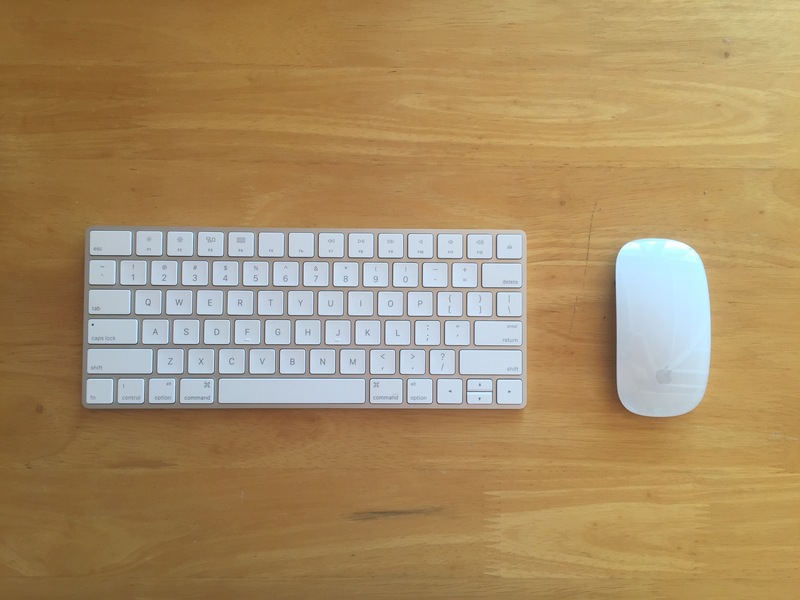 With the laptop stand I also carry an external keyboard and a mouse, both wireless and both rechargeable with my lightning connector iPhone cable. I used to have the first generation keyboard and mouse and they required 2 AA batteries each… not great for ultra-light travel, not to mention I hate using single-use batteries so I carried a battery charger with me. Switching to the new rechargeable model has made a big difference. Some might say that carrying an extra keyboard, mouse and laptop stand is unnecessary, but I’m working on my laptop a lot, and for me it’s essential. I also have 2 hard drives with me, a 2 TB and a 1 TB. The 1 TB acts as my time machine and the 2 TB stores any large files like movies and music. I have a huge collection of movies on my hard drive that I find useful when traveling. I use WD Elements and they have worked well for me, and I like their small size compared to other hard drives. All I carry are three items, all from my favorite clothing brand Vuori. They started as a men’s yoga brand and now make clothes for both men and women. 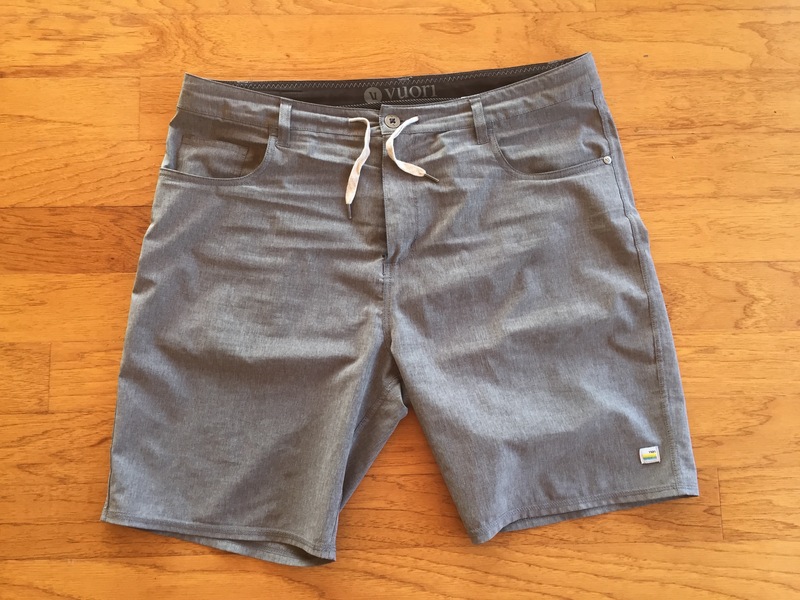 I own two pairs of their shorts and one pair of their pants, and I can’t stop raving about them. Here are some reasons. 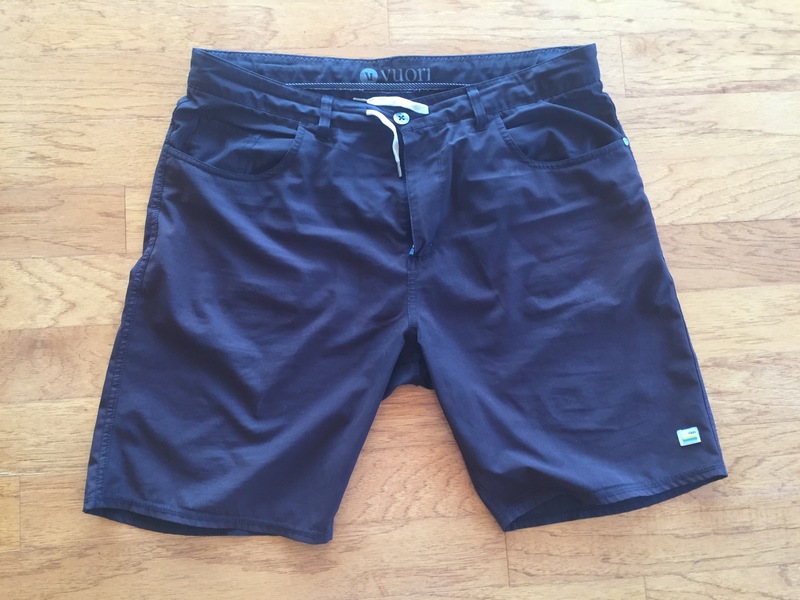 The shorts are cut above the knee. Call me old-fashioned, but I can’t stand wearing shorts that fall below my knee, especially in tropical weather where I need all the air flow I can get. Update as of March 2017. 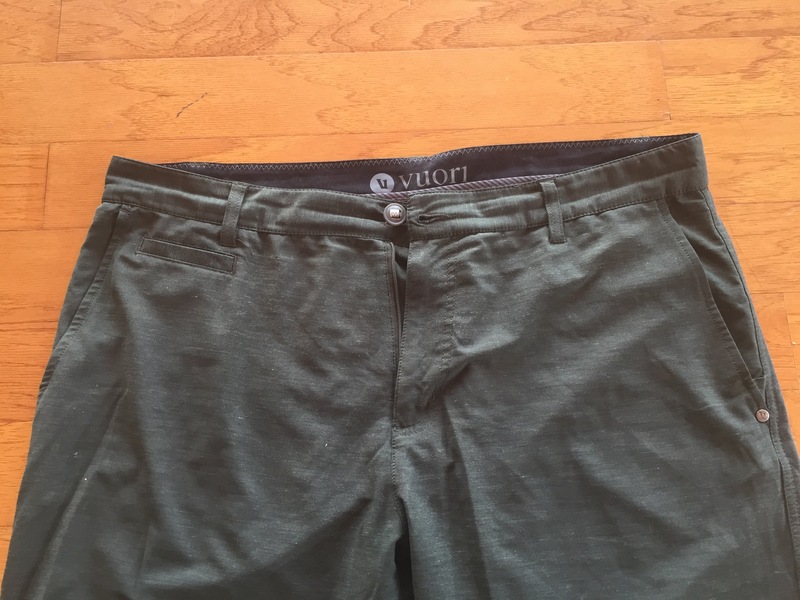 Vuori has stopped carrying these shorts and pants, which is really sad for me. I’m currently in the process of talking to the owner to see what I can do about this. One of the challenges of a minimalist traveler is how to carry a jacket that will keep them warm but not take up a lot of space in a bag. Most coats and even sweatshirts are too bulky, so finding something that’s both light and warm is essential. 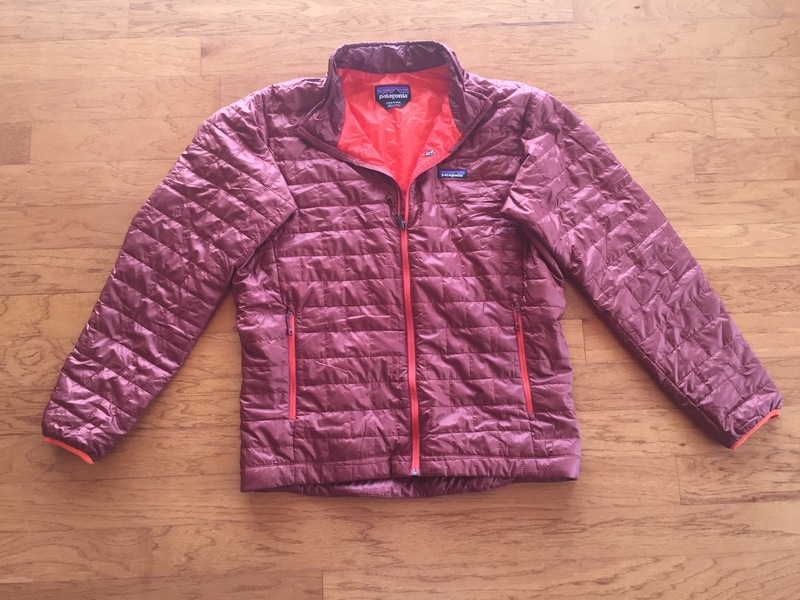 I wear the Patagonia Nano Puff Jacket and I love it. I also found that wrapping it in a rubber band helps keep it nice and small when it’s rolled up and stuffed in the bottom of my backpack. 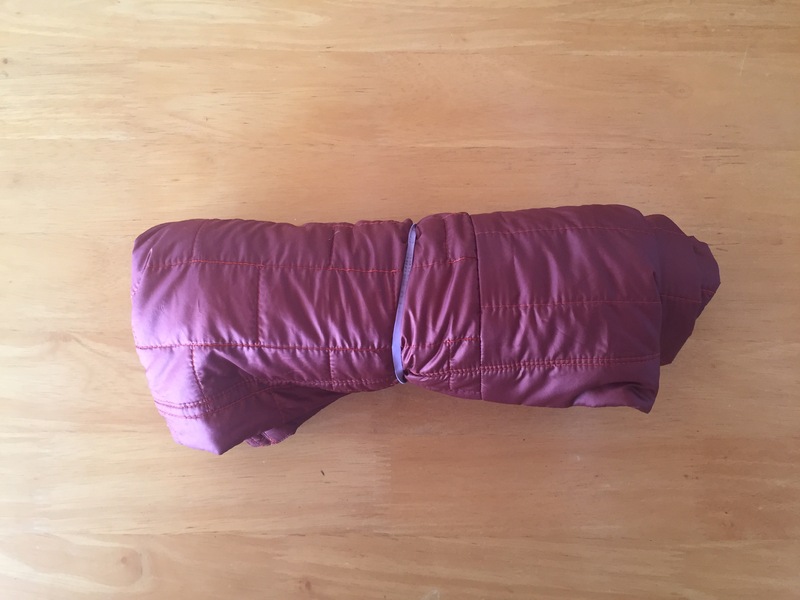 It does stuff into itself through one of the pockets, but I’ve found that it’s easier to just roll it up, plus it’s not wrinkled when I unwrap it. I currently own two shirts, and it’s just enough for me at the moment. I did have a tank top but I lost it a week ago, so I’ll probably buy one here in Hawaii. 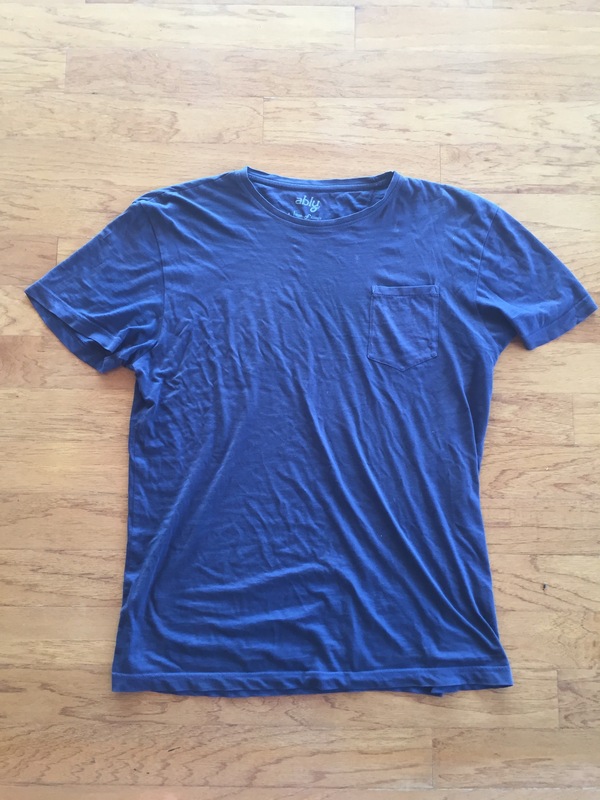 The tee shirt I own is a special odor-resistant shirt that I bought as part of a kickstarter project. 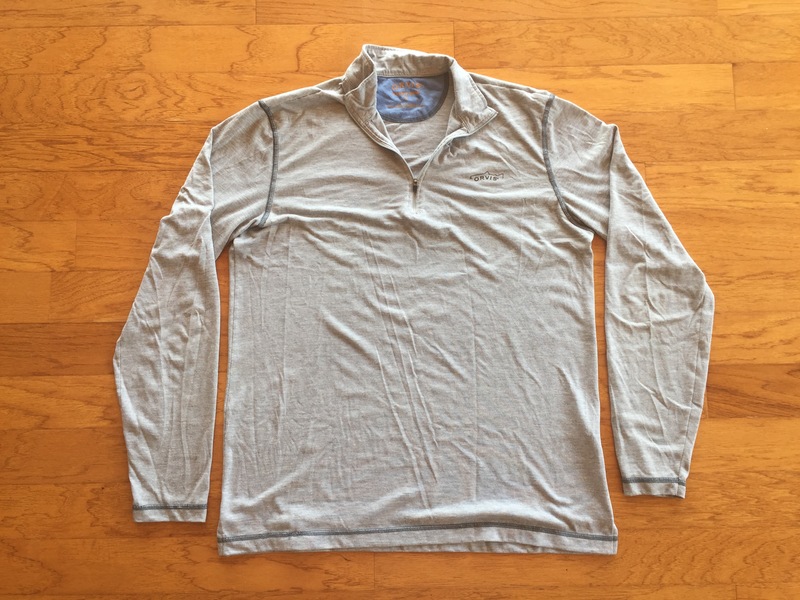 It works well, although I find it a little less breathable than regular cotton. 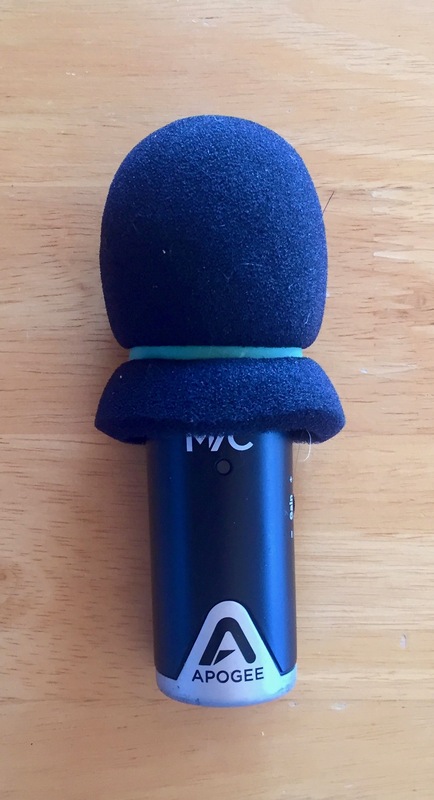 As you know, I produce three podcasts so having good audio equipment with me on the road is really important. 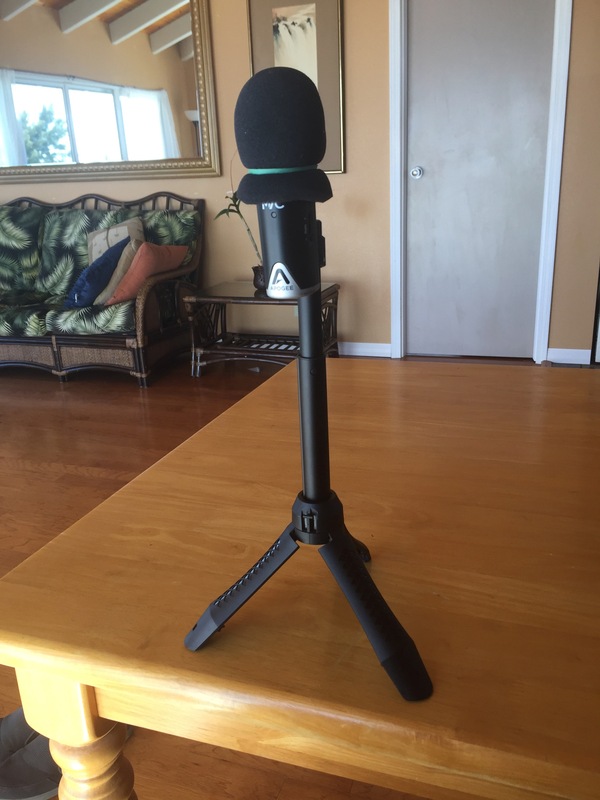 My biggest problem has always been finding a portable microphone stand so I could sit at a table and not hunch over to talk into the mic. 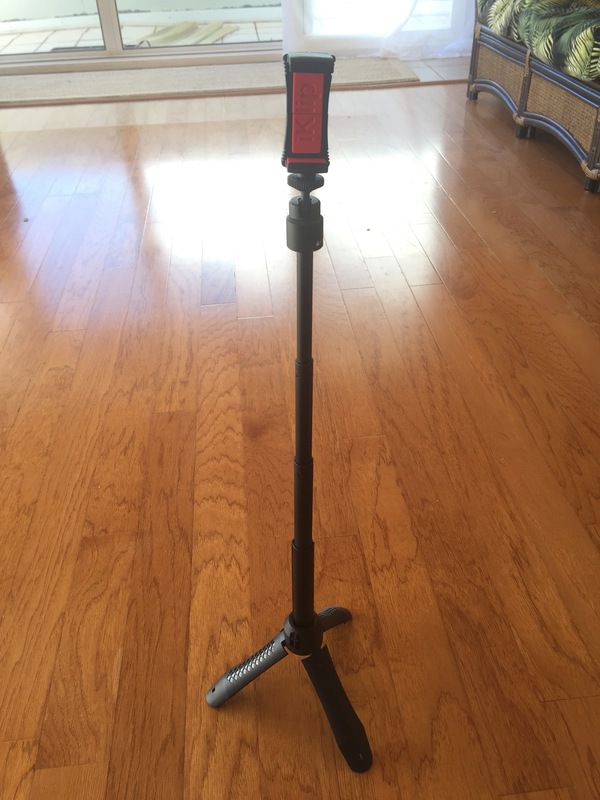 Well my friends, I’m happy to say I found an amazing stand, and it doubles as a selfie stick and a tripod. It’s the IK Multimedia iKlip. I also use a portable USB mic made by Apogee that can also plug into my iPhone if I need better sound quality on a video. There are some adjustments I’ve made to my packing that I’m really happy about and are worth sharing. Always carrying an HDMI Cable. This is really useful for watching movies since my laptop has an HDMI out and most TVs I come across have an HDMI in. Shortening my iPhone charger. I did this a few weeks ago and I find that I mostly don’t need the full length of this cord. Wrapping the rest of it just makes everything a little more tidy. 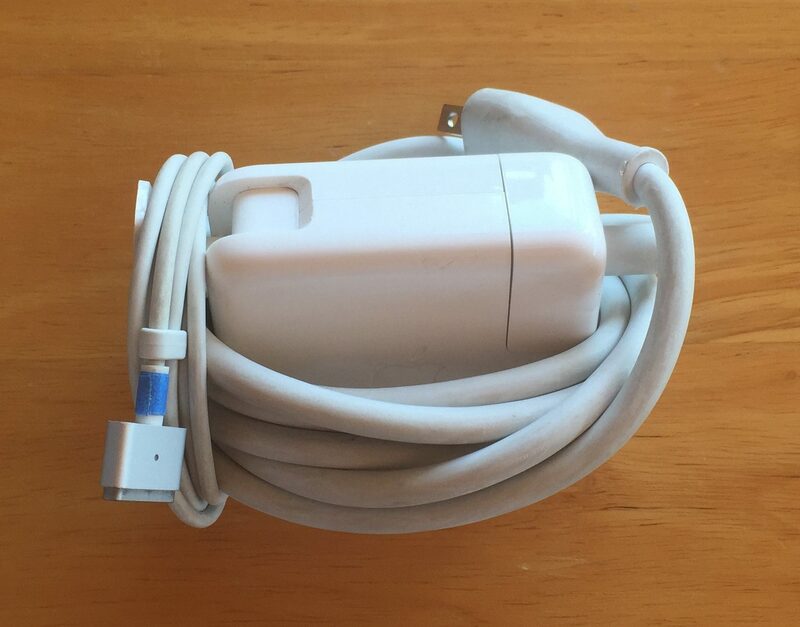 Lifehacking my MacBook Charger. 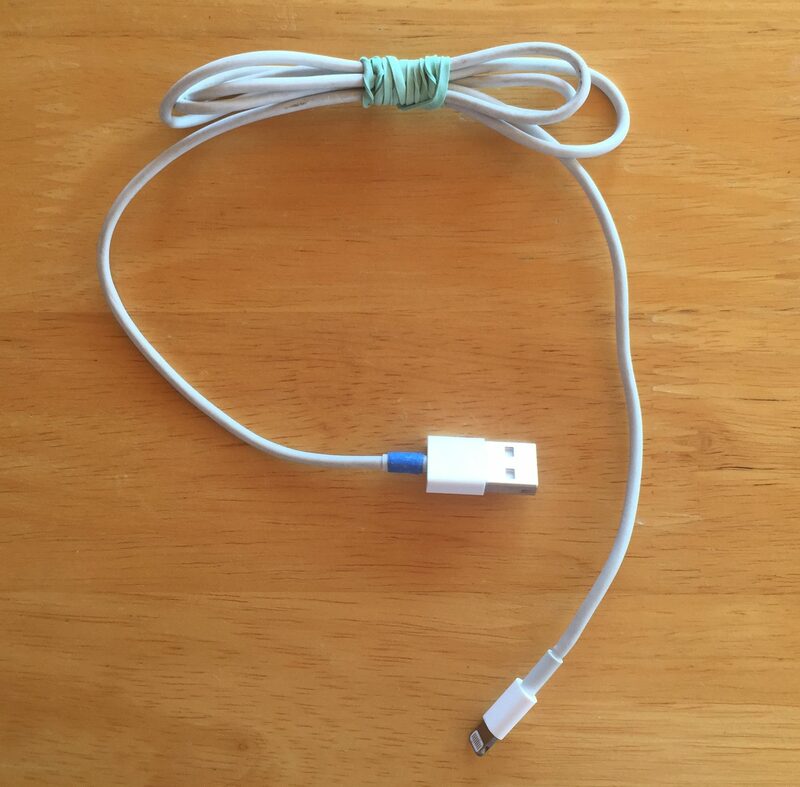 I read something on lifehacker a while back that suggested wrapping your charger like this, and I’ve been doing it ever since. Thank you to all the minimalist travelers who have gone before me and have helped make this post possible. Most notably, James Clear for writing his Ultra-Light Packing List, which was a huge inspiration for this.